Xye is a puzzle game in which the objective is to help a character that looks like a green circle to get all the gems in the room. 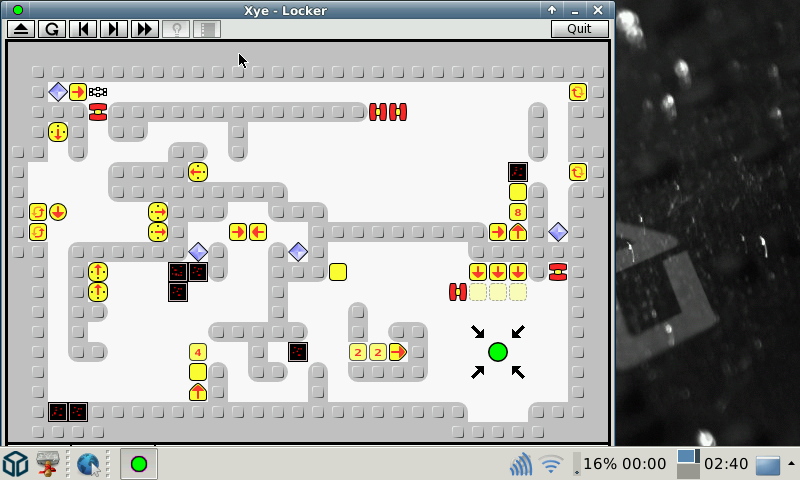 Level editor accessible through F1 on level selection dialog, but not very usable due to window's heigth. Additional levels can be added in appdata's xye folder (in the hidden .xye/levels folder). If you think some levels should be in PND, send me a link, I'll upload a new one. This is great.If you really want to edit levels in a small screen, it is possible to change the skin to the classic one using F3. The classic skin is very small and I used to use it for the first ASUS eee, so it should be fine for editing in the pandora. I've played this on my computer before, so now it goes on my Pandora!